A dear friend of mine, with kids that are around the same ages of mine, is the daughter of a God fearing man. We discussed the meaning of Halloween, how it can be dark and evil. I know that we enjoy time at our church and host a Trunk for a Trunk or Treat game time. She introduced me to the Reformation Day that lands on Oct. 31st. 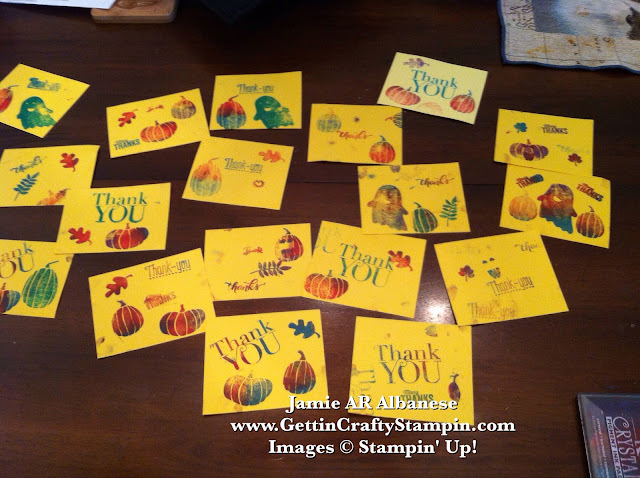 Last year she ordered two stamp sets so that her kids and her could create cards to hand our for Halloween. Here are the cards her boys, all three of them, created and will hand out on Saturday, Oct. 31st. I think this is BEYOND cool! Actually I'll have my kids create similar cards with information about Reformation Day inside to hand out at our Trunk or Treat. You may love this - a friend did research as her father (a great man who loved The Lord) passed last Oct 31st. He loved history and this was a great new family heritage from that loss. world history known as the Reformation. German so the common man could read the Bible himself. a result of works, so that no one may boast! 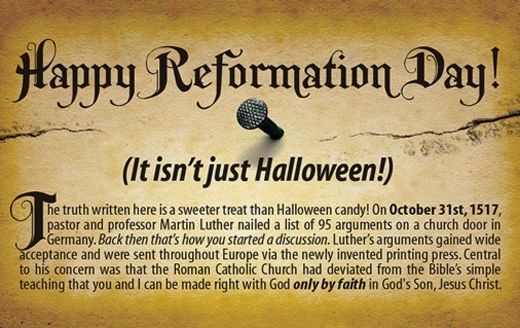 CLICK HERE for more information of Reformation Day. It is so much fun to see how different uses for our awesome stamps, papers and more can create personalized gifts and memories. This is a unique and new-to-me but old celebration. How do YOU Celebrate Oct. 31st? Leave me a comment and let me know.